WHO WILL YOU HAVE A BEER WITH? Susan Knapp and Glenn Wetherell. Pictured, as they began work on the brewery space, in May 2017. Susan co-owned and operated Hicks Orchard for two decades and was a co-founder of Slyboro Ciderhouse. Glenn was the head cider maker at Slyboro Ciderhouse for many years as well as running the fresh cider operation, planting trees and all other aspects of farming. With a passion for brewing exceptional seasonal, experimental and traditional beer and a love for their upstate rural/ urban village, the duo purchased a 1930's era brick building on Main Street in Granville, NY, breaking ground in the Spring of 2017 to put Slate Town Brewing Company on the map! Slate Town is dedicated to brewing outstanding beer that pleases a variety of tastes using local seasonal ingredients. We invite you to come visit our brewery on Main Street and raise a glass with us. 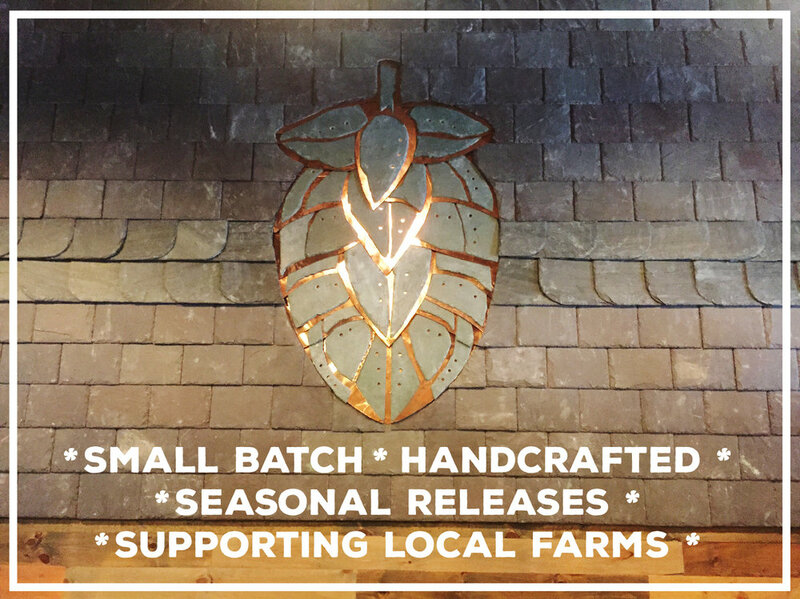 outstanding, small-batch beer using local, seasonal ingredients. and, raise a glass with us. Cheers! We are a BYOF Brewery until our kitchen construction is complete. We welcome you to bring your own food or support local and order delivery from our local food establishments (we have menus at the bar and some will deliver to your barstool). Food truck is at brewery most Friday and Saturday nights. NIGHT PASTURE Bone dry, still cider. Made from heirloom apples. SOLD OUT OR SEASONAL BEER THAT WILL BE BACK….